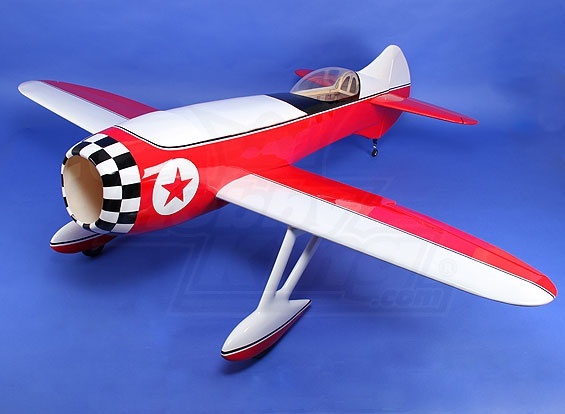 I am very excited to announce that some HobbyKing warehouses star selling Gee Bee R3 Gas model. This model looks fantastic to me. Actually I was waiting for a long time to get a balsa version of this plane. HobbyKing has two sizes available 1850mm and 2060mm. Hopefully HobbyKing will make Gee Bee R3 model available at all warehouses. Also I would prefer to have an electric balsa version as I never had gas models before and not willing to start with this mess ;) you know what I mean.